Instagram is the popular app for iPhone/Android that transforms your photos into something memorable with some cool retro photo filters. The photo can then be uploaded and shared with friends. Instagram requires users to register for an account in order to use it. The registration process and the usage of the app is only possible on an iPhone/Android (using the device-specific app). However, due to its popularity, many users (including previous Instagram users) have wanted to use Instagram on their PC. 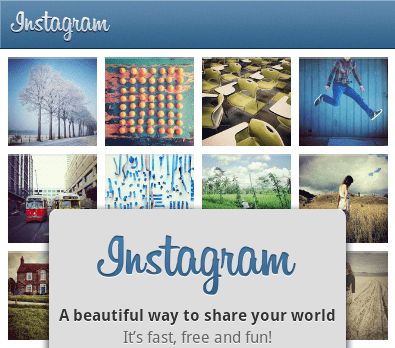 This article describes how to run Instagram on PC. BlueStacks App Player is a virtual environment for Windows/Mac where Android apps can be run. You can use this program to run other Android Apps too. Let us now see how to run and use Instagram on PC. 1.4 Instagram + Sunglasses = Instaglasses – Filters for Real Life? 1. Download and install BlueStacks App Player. 3. Double click on the instagram_(7labsOfficial.com).apk file to install it inside BlueStacks App Player. 4. Now open up BlueStacks. You should see the Instagram icon inside it. Click on the icon to launch Instagram within BlueStacks. 5. The app prompts you to sign up if you aren’t logged in. If you already have an Instagram account, login with your credentials and start using the app. Otherwise, use the “Register” link in the app to register for Instagram. 7. Now you can use Instagram on your computer just like you would on Android/iPhone. To upload and share photos on Instagram, follow the instructions given in this article. Instagram for computers using the BlueStacks App Player can also be used to apply filters on existing local files on your system. Learn how to Access your local files from BlueStacks.